Patients with high arched or cavus feet tend to lack the ability to absorb shock when standing and walking. Cavus feet often develop hammer toes, neuromas and callus under the ball of the foot. Unstable ankles are a common symptom associated with cavus feet. Most patients with symptomatic cavus feet respond well to orthotic therapy but some may need additional treatment methods. 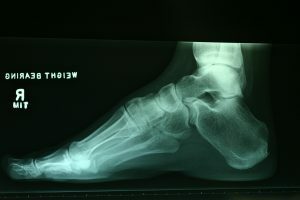 Our podiatrist and podiatric surgeon can provide all required treatments for the management of symptomatic cavus feet.